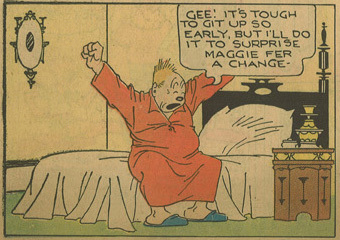 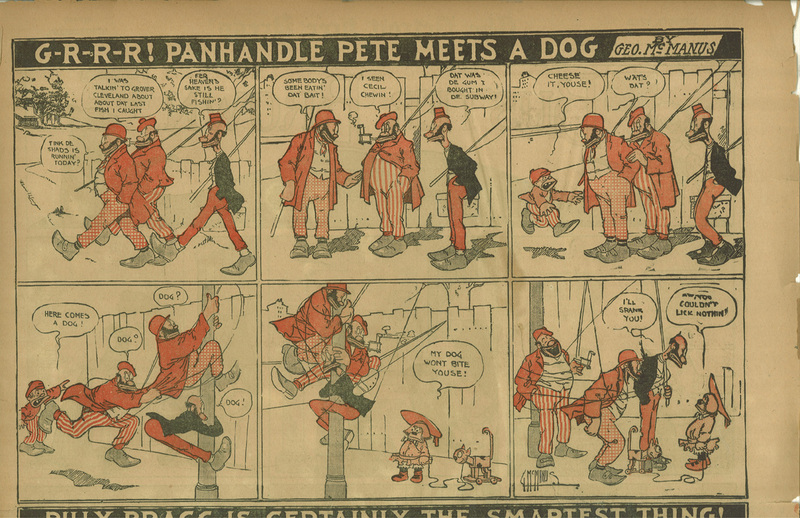 Here’s an example I scanned of Panhandle Pete by George McManus of Bringing Up Father fame. 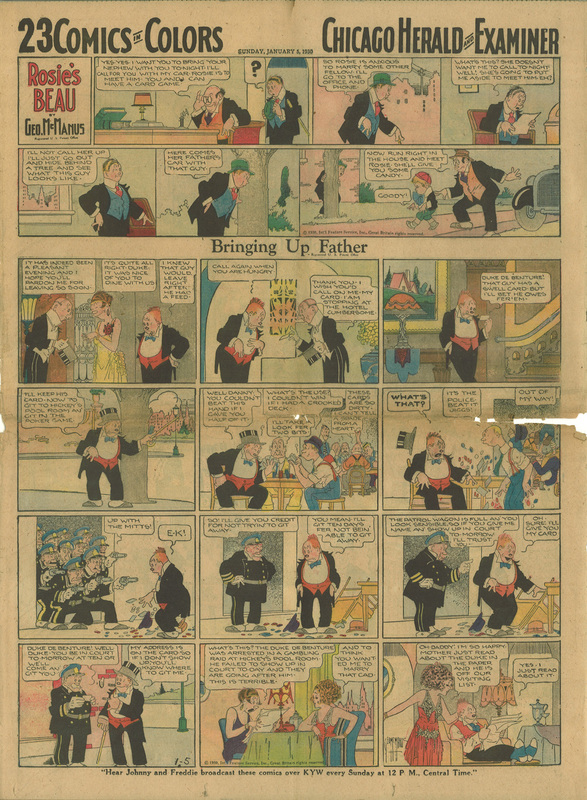 Here’s an example I scanned of Their Only Child from 1915 by George McManus. 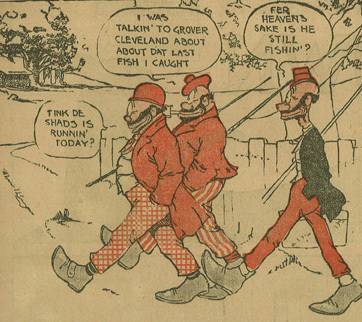 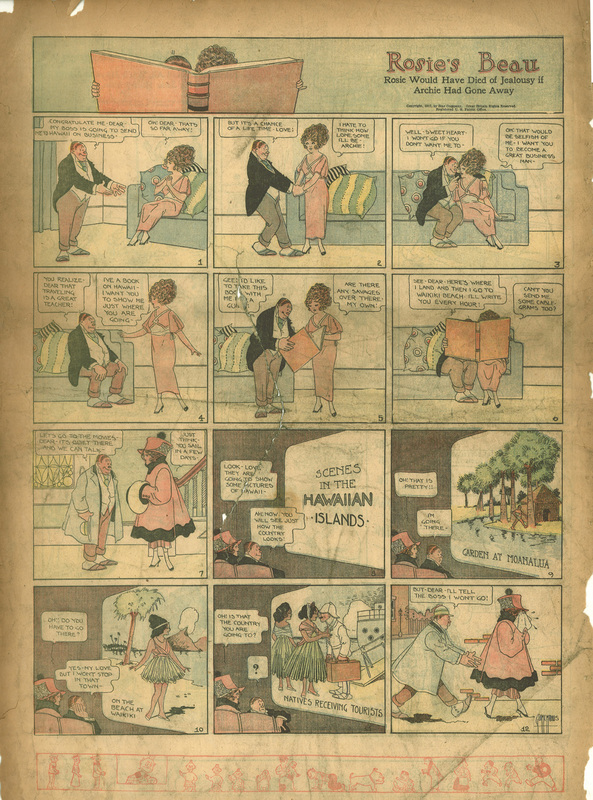 Here’s another example I scanned of Rosie’s Beau from 1917 by George McManus. 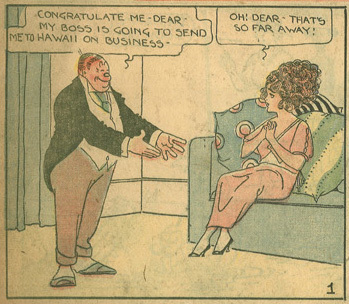 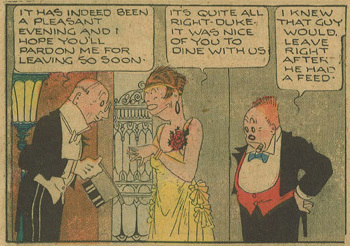 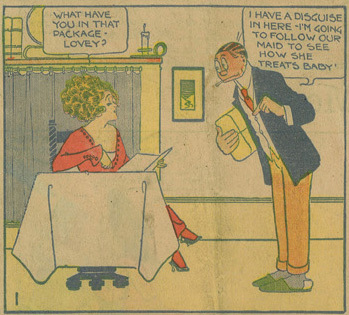 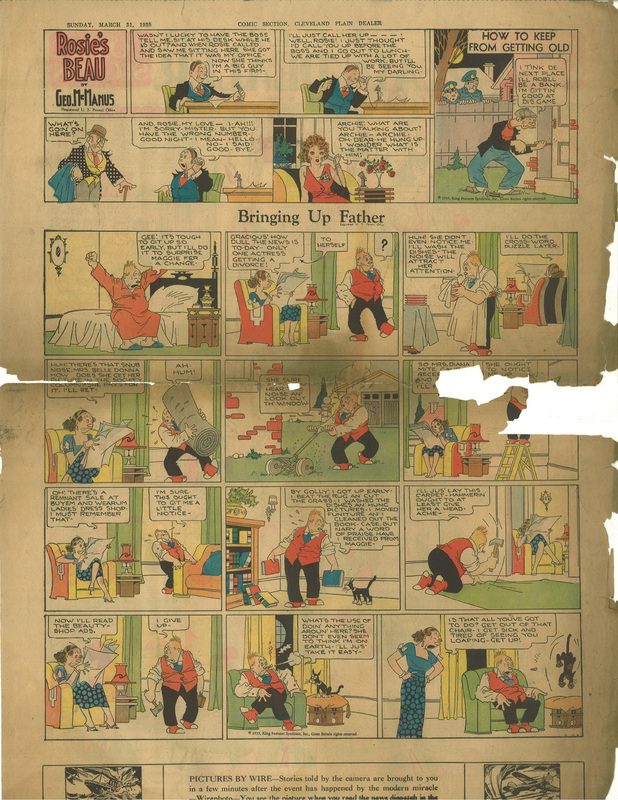 Here’s an example I scanned of Bringing Up Father with the header strip Rosie’s Beau from March 31, 1935 by George McManus.